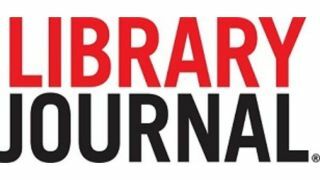 NEW YORK, NY – January 5, 2018 – Lance Werner, executive director of the Kent District Library (Michigan), is LJ’s 2018 Librarian of the Year. The award, sponsored by Baker & Taylor and celebrating its 30 anniversary this year, honors a professional librarian for outstanding achievement and accomplishments reflecting the loftiest service goals of the library profession. Previously a 2016 LJ Mover & Shaker and 2017 Michigan Library Association Librarian of the Year, Werner is honored for his strong leadership, effective legislative advocacy and championing access for his patrons. Werner will receive a $1,500 cash prize and is featured in Library Journal’s January 2018 issue, available in print and online. Among his recent accomplishments, Werner convinced the Kent District Library trustees to invest $400,000 in ebooks, secured health care for part-time Kent District Library employees, spearheaded a countywide literacy initiative, secured grant money to bring back the library’s bookmobile after a 30-year hiatus, and testified before the Michigan Senate and House committees to win tax capture amnesty for libraries statewide. For award guidelines, visit http://lj.libraryjournal.com/awards. Baker & Taylor is a premier worldwide distributor of books, digital content and entertainment products from approximately 25,000 suppliers to over 20,000 customers in 120 countries. The company offers cutting-edge digital media services and innovative technology platforms to thousands of publishers, libraries, schools and retailers worldwide. Baker & Taylor also offers industry leading customized library services and retail merchandising solutions. For more information about Baker & Taylor visit www.baker-taylor.com. Baker & Taylor is part of Follett Corporation, the world's largest single source of books, entertainment products, digital content and multi-media for libraries, schools and retailers. Follett is headquartered in Westchester, Illinois. For more information about Follett, visit www.follett.com.